Over the past decade, the media has reported on incidents of school bullying that resulted in tragic consequences. There have been numerous stories of teenagers having ended their own lives due to relentless bullying that began at school and continued on social media web pages. One Canadian news documentary even reported on the impact of emotional and sometimes even physical bullying of teachers by students. While some teachers were able to apply for early retirement, stress leave or disability, others chose to leave the profession altogether. While elected officials condemn school bullying and enact legislation to punish offenders, the state is no innocent bystander in the rising frequency of school bullying. Without compulsory school attendance laws, it is unlikely that teenagers who have little interest in an irrelevant school curriculum would even attend school. If compulsory school attendance was intended to curtail youth crime, then youth crime rates should increase dramatically during summer vacation. It in fact remains unchanged. It is possible that bullying peers and even teachers may simply be some students' reactions to the nature of the school environment. A retired, award-winning teacher from New York named John Taylor Gatto published several critiques of government schooling and how state school curricula ultimately robs children of the joy of learning. He provides several presentations on the problems of state schools that are easily found by searching for his name on YouTube. Perhaps to counter negative criticism, CBS's 60 Minutes broadcast a positive story about an experiment undertaken in a New York City school. The New York City Board of Education rediscovered an old practice that had long been abandoned. In an earlier time, the practice had been part of all-boys private schools, many Catholic schools and schools in Muslim countries where children were separated by gender. Several Catholic schools observed 1 Timothy 2:12 to assign male teachers to all-boys classes. This free-market writer has interviewed men of both Catholic and Muslim persuasion who, as children, attended all-boys classes taught by male teachers. Their recollections of their school days in these classes were generally quite positive. CBS reported on the success of male teachers having been assigned to teach control groups of children, beginning at kindergarten. The children were mostly from low-income, single-parent mother-only families lacking positive male role models in their lives. Such students generally attended schools where they were taught by female teachers. However, male teachers taught select mixed-gender, control groups of children aged from 6 to 12 who remained with a male teacher throughout the duration. The boys from single-parent, mother-only homes who had exclusively attended classes taught by female teachers had a high incidence of misbehaviour that included getting into fights, incidents of anti-social behaviour, and gravitating toward male-only gangs. The boys from identical home backgrounds who had exclusively attended classes taught by male teachers were described as more ambitious, more socially adept, getting into fewer fights, and keeping out of gangs. Even the girls from the same home backgrounds who had been taught exclusively by male teachers were described as being more socially adept than their peers who were taught by women. This writer interviewed male teachers who had agreed to teach kindergarten students. According to them, children who lived in fatherless homes, or in homes where a father was either physically or emotionally absent in their young lives, could be indentified very easily by their behaviour. They also opined that such children seemed driven to get the attention or the approval of the male teacher. A male teacher's praise in a classroom, for having successfully completed a task or assignment, seemed to elicit praise-seeking and related attention-seeking behaviour from several of the children. There was a time when all-male teaching staff taught all-boys classes in private schools across Canada, the UK and the USA. Some 30 years ago, the vocal radical extreme of the feminist movement elected take action to “break down the walls of the all-male bastions” and install female teachers into such schools. Politicians and non-elected officials seemed willing to oblige and declare that the all-male hiring policy of all-boys' private schools discriminated against women. Under the threat of legal action that would have involved forcible confiscation of resources, private all-boys schools were compelled to hire female teachers. During an earlier period, teacher training schools enrolled almost the same number of male and female candidates. They subsequently changed their enrollment policies to increase female enrollment, with very few male candidates attending the teacher training institutes in Ontario. A few of the “old boys” who had attended all-boys schools during a period of all-male teaching staff visited their alma maters to interview some of the new generation of students. They reported that “the feminine perspective” had certainly had an impact on the emotional development of the new generation of boys, who were “touchy-feely” and more emotional. Today, there are many elementary and junior high schools (grades 1 to 8) across the USA and Canada with mixed gender classes and an all-female teaching staff. While some proponents in the radical feminist movement may regard this as a victory, there is also an epidemic of peer bullying underway in the schools, including girl-on-girl emotional and physical bullying that has resulted in numerous suicides. While the Government of Canada chooses to engage the Red Cross to assist in developing programs to reduce incidents of school bullying, this free-market writer remains skeptical. The ‘zero-tolerance' program of several years ago was intended to make schools safe, but it has proven to be a failure. Bullies learned how to manipulate the system to their advantage and get their victims suspended or expelled from government-run schools. 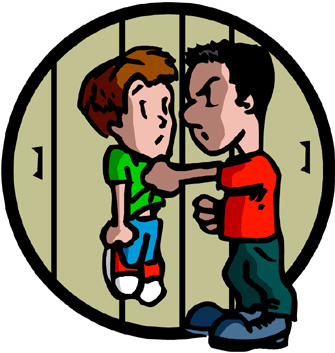 The bullying epidemic that is underway in the nation's schools is a symptom of a problem that has political origins. Government-sponsored anti-bullying programs amount to little more than cosmetic or band-aid measures. No politically favoured, government-funded consultant would dare suggest that the way government runs schools, related social programs, and even health care programs, might be the underlying cause of the school bullying problem. The solution to the school bullying problem is to be found outside of the government-run system, in educational programs that operate free from political control and interference. Unfortunately, in most jurisdictions, state officials are keen to maintain control over education.